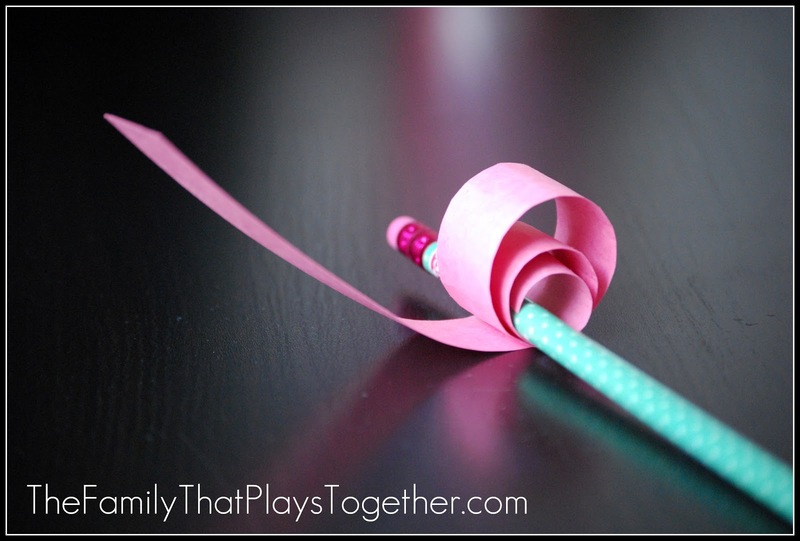 Valentine's and paper crafts, what a perfect couple. 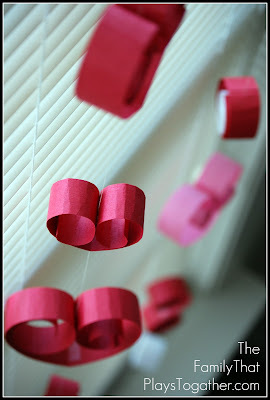 Check out these easy paper heart garlands. 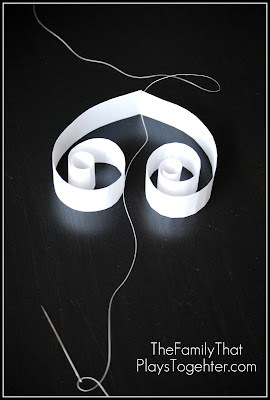 -Cut several strips of paper into even widths. -Decide what kind of shape you would like. 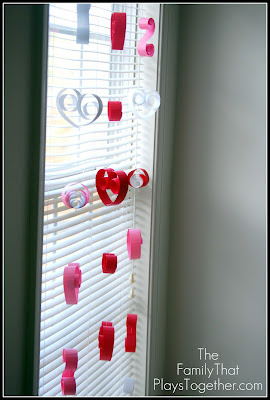 I made big hearts, little hearts CurlyQ's, and S's. (If it's a larger shape tape two strips of paper together first with regular tape). -Thread the needle through the bottom of your heart. -Using double tape secure the thread and shape together. Some of the shapes will need to be secured by wrapping some double sided tape on the thread underneath them. -Just hang and that's it.